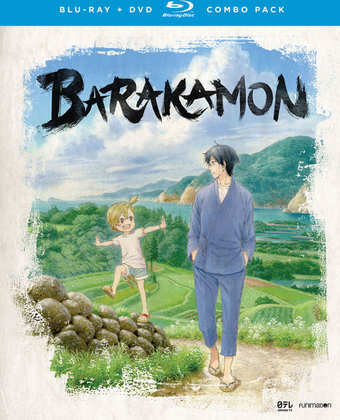 Last year, Stuart McLean reviewed Barakamon for this site, as released by Anime Limited. Last week I took a look at the show, this time reviewing the US release, and the difference between the two is... not a lot really. What do you expect when both Anime Limited and Funimation shared the same discs and the same pack art? It’s a great show though, a different slice-of-life story, which sees an arrogant artist (a calligrapher) ‘exiled’ to an isolated island community when he overreacts to a bad review. The quiet, sedate life on the island, where he picks up a six-year-old new best friend turns out to be quite the education, and an unexpected source of fun. Click on the review to read more. Next it was the turns of Lu Over the Wall, the latest Masaaki Yuasa film to come out in the UK, and perhaps his most accessible for broad audiences. Another boy exiled to another island, only this time it’s because of his parents’ divorce. His only refuge is his music, but when he plays, his music attracts a curious mermaid, and adventures ensue. 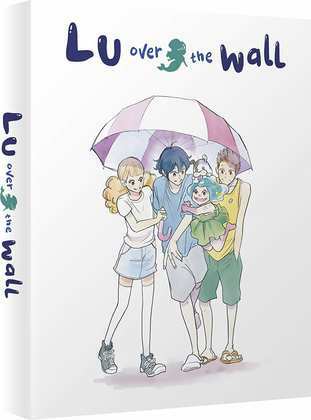 It’s not the most original of stories, but the left-field animation and the oddball characters make Lu Over the Wall one to experience. Back to mundanity again as I wheeled out another Naruto review. We’ve got as far as Naruto Shippuden Collection 33, and it looks as if we’re finally reaching the climax of the story. There’s one big fight sequence to appreciate, and the big bad villain pulls off his big bad finishing move. The only choice left open to our heroes now is between final victory and ultimate defeat. Don’t buy the party hats just yet, as there’s still a few dozen episodes of filler to get through before we do see how it ends, and you can bet that the series will have more endings than the Lord of the Rings movies when it does. Summer Wars. This was the second Mamoru Hosoda film that I saw, and it was quite the change from The Girl Who Leapt Through Time, although the central theme of young love is still there. It’s still just as relevant a film though, maybe even more so today, given its tale of a world spanning social network, and the ultimate in identity theft that occurs when a rogue AI is unleashed. 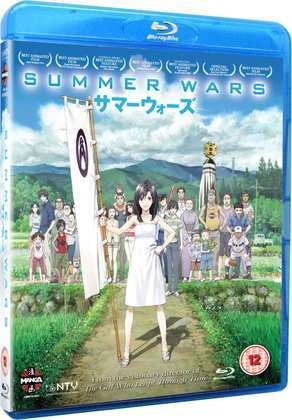 But Summer Wars also offers a very traditional aspect to its story, that of the family, and the importance of communication, face to face, non-digital communication. It’s a cautionary tale that we shouldn’t let go of what makes us fundamentally human regardless of technological advance. It’s a great movie, although not quite as emotionally affecting as the film that preceded it; on occasion feeling a little contrived. Summer Wars is still top entertainment though, and it’s well worth seeking out if you’ve yet to watch it. Manga Entertainment released Summer Wars on DVD and on Blu-ray back in 2011, followed up by a twin pack with The Girl Who Leapt Through Time. Here’s my review of Summer Wars. This year, as part of the Hosoda Collection, Summer Wars also got a Collector’s Edition re-release. Funimation released Barakamon as a BD/DVD combo back in 2016 in the US. All the Anime release Lu Over the Wall on Collector’s Edition BD/DVD combo, and standard Blu-ray and DVD today. 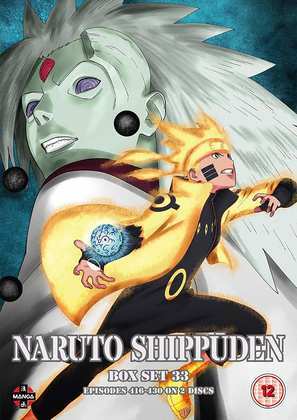 Manga release Naruto Shippuden Box 33 on the 20th of August.